The technician will screen all family member and perform lice and nit removal on anyone with lice and nits. It is ideal for everyone to be available for the screening to ensure the success of the treatment, even those that dye their hair and are not experiencing symptoms. Our lice removal includes the use of Nit Picky's professional lice and nit removal products. The products are non-toxic and pesticide free. During the treatment process, the technician will comb through the hair with Nit Picky's professional removal process. This process will remove the lice and the nits (lice eggs). 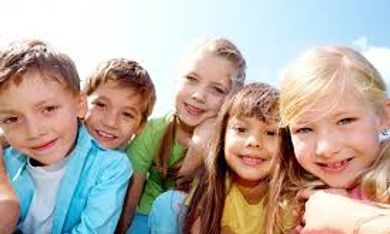 When the treatment is complete the lice technician will provide an after care regimen that ensures 100% success and information how to prevent future infestations. If followed correctly you will never struggle with head lice again. Over the counter lice shampoos, alternative at home treatments and lice heat machines cannot provide the care and prevention techniques provided by a Nit Picky technician. Nit Picky's in-home head lice removal service is trusted, effective, and 100% guaranteed. Our head lice treatment is a safe and effective way to treat your family for head lice and nits and all that you need is just one treatment with our clinically proven lice and nit removal techniques and non-toxic products. Save time and money and hire our Arizona mobile lice removal service. The specialist will come to your home and screen all family members and treat those who need to be treated with our non-toxic products and the most professional lice treatment process. What sets us apart is that we come directly to you and bring all of the benefits of a lice salon and more. By hiring us to come to you, your family can comfortably go about their daily routines. Plus, parents can focus on laundry, vacuuming, preparing meals or helping the children with homework while the lice specialist takes care of the infestation and removes lice and nits from each individual family members hair. This saves parents time from driving and shuffling the children around and eliminates stress since life is resuming as normal with a Nit Picky Lice Specialist by your side. We know about head lice and we can help you. Head Lice Management in Schools Head Lice infestation is associated with little morbidity but causes a high level of anxiety among parents of school aged children. This statement, by the American Academy of Pediatrics, attempts to clarify issues of diagnosis and treatment of head lice and makes recommendations for dealing with head lice in the school setting.